A roadmap to help home cooks round out and enhance any meal, for any occasion with 1001 recipes for every type of side dish imaginable. Every cook struggles over making side dishes, from choosing what goes best with the main course to getting stuck in a rut making the same tired green beans and rice. 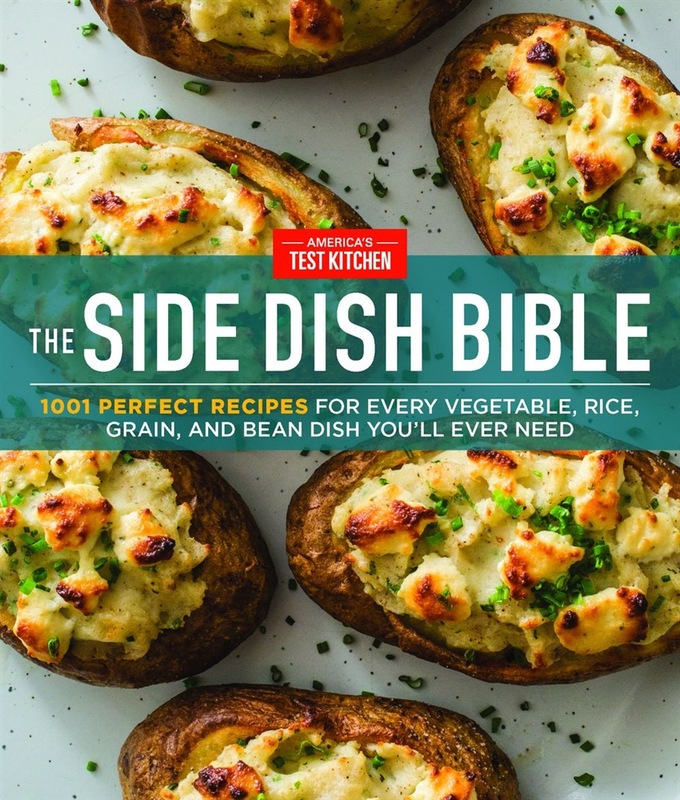 But this destined-to-be-dog-ear'd compendium of side dishes changes all that; more thorough than any other cookbook, our first complete compilation of side dishes offers 1,001 perfect recipes for tonight and every night, whether you only have a few minutes or need your next dinner-party go-to. Chapters are organized by type of side dish to help you find just what you're looking for. For weeknight inspiration, Basics You Can Count On offers quick-and-easy recipes like Skillet-Roasted Brussels Sprouts you can make in just 10 minutes. Having company? Choose elegant sides from Dinner Party Winners, like a stunning Pommes Anna or Pearl Couscous with Caramelized Fennel and Spinach. Tasked with bringing a side to a potluck? Potluck Favorites offers recipes that everyone will ask for, like Chopped Caprese Salad. Reimagining your holiday table? The Holiday chapter mixes reliable standbys like Creamy Mashed Potatoes and Classic Bread Stuffing, with fresh, seasonal dishes, like Farro Salad with Butternut Squash and Radicchio and Garlic-Scented Mashed Sweet Potatoes with Coconut Milk and Cilantro. A Bread Basket chapter is included as are creative sauces and toppings for taking things up a notch. Acquista The Side Dish Bible in Epub: dopo aver letto l’ebook The Side Dish Bible di ti invitiamo a lasciarci una Recensione qui sotto: sarà utile agli utenti che non abbiano ancora letto questo libro e che vogliano avere delle opinioni altrui. L’opinione su di un libro è molto soggettiva e per questo leggere eventuali recensioni negative non ci dovrà frenare dall’acquisto, anzi dovrà spingerci ad acquistare il libro in fretta per poter dire la nostra ed eventualmente smentire quanto commentato da altri, contribuendo ad arricchire più possibile i commenti e dare sempre più spunti di confronto al pubblico online.